Pin-up: what is that? : Perfect eyebrows: I want to have them! Perfect eyebrows: I want to have them! I`m really glad to make another post here. First of all, I should say that I myself have a really thin and even eyebrows that is really hard to shape. But I`m going to share with you some tricks to make even such straight eyebrows like mine a little bit arched. 1-your eyebrow should start at the line where your nostrils are. I mean, just take your brush, pencil or anything, put it straight to your nostrils and make a mark where your eyebrow should begin. 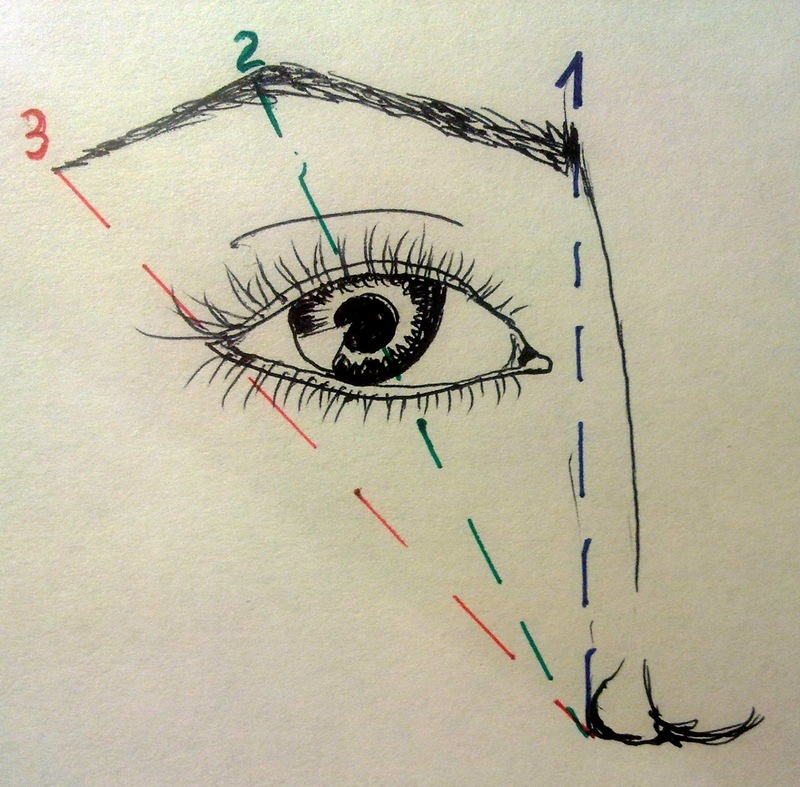 2-the arch of your eyebrow should be placed on the line from the nostrils and the iris of the eye. 3-the end of the eyebrow should be on the line from your nosdrils to the outer corner of your eye. So, here we have a perfect proportion. Now we should clean the area around the eyebrows. If you have a special eyebrow raiser, clean the area above and under your eyebrow. Plug loose hair. Now is the high time to fill in our eyebrows. The easiest thing here is to beging from the center of the eyebrows and then go right and left. It will decrease your chances to overshade your eyebrows. Use an eyepencil or eyebrowpencil or eyeshadows, but remember this colour should be several shades lighter than the eyebrow natural colour. If you use the eyepencil, try to fill it in with short strokes, it will make your eyebrows look quite natural. Don`t forgen to stick to the proportions! Create an arch using the pencil! If you`ve made a mistake, use your foundation or concealer to hide everything. And you are done! Just dont forget to follow the nessessary proportion of your eyebrow and everything is going to be ok! And if you want to fix the shape, use a special gel for the eyebrows, or even a wax. P.S. If you want to create an absolutely new shape of the eyebrow, then...Of course I know it is too extreme, but you can shave your eyebrow and draw a new one. But it is too risky. Perfect Natural "real" fake eyebrows! And that`s it! Have a nice day!